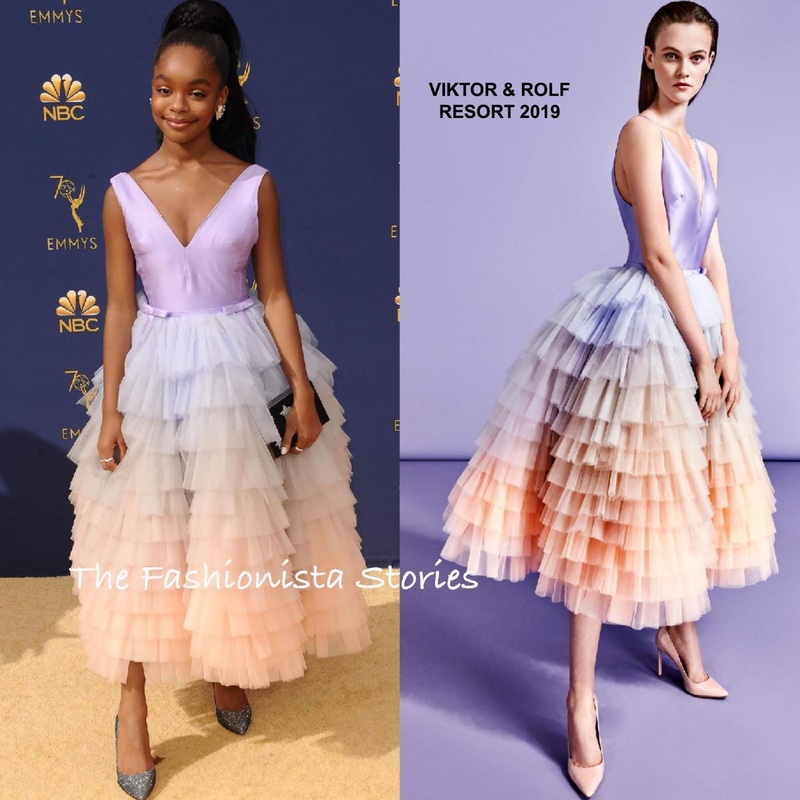 On hand for her nominated show 'Blackish', Marsai Martin attended the 70th Primetime Emmy awards this evening(September 17th) at the Microsoft Theater in LA. The young starlet turned to VIKTOR & ROLF, wearing the designers RESORT 2019 rainbow ruffle tulle v-neck, cocktail dress which was adorned with dainty bows on the waist. For me, I love the idea of this dress because it suits her style. However I don't know if it's the fabric or the creases but something is off with that bodice. Also I would swap out those pumps for a simple silver metallic, ankle strap sandal. Nonetheless, she looks so cute in general and I love her ponytail which topped off her look along with a small clutch and ALEXIS BITTAR earrings.